I HAVE noticed that, in all of fellow writer Glen Burua’s letters, he questions every Papua New Guinean what he or she is doing for the country. My response to his question is this, every morning when I wake up, I thank God for creating me as his Papua New Guinean child. And as a PNG Catholic woman, I pray once a week (on Thursday) for peace, order, goodwill and justice to prevail in my home country. Also on Thursday, I pray for the salvation of every Papua New Guinean person. 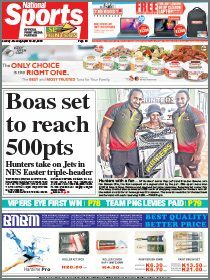 I suggest, you stop your wonderful preaching through the two dailies because our country (PNG) has too many problems. 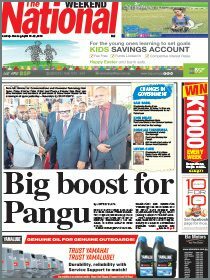 Evil and wickedness have increased in PNG. I have therefore stopped preaching to my family and friends and started praying more. Every Christian in PNG should join forces to pray for the spiritual welfare of our country and its people.